Located 21 kms from Auckland City and within a 5 minute walk to Auckland International Airport Terminal, Hotel Novotel Auckland Airport makes for a convenient base for travellers visiting New Zealand. Vacationers can also have a fun time at Rainbow's End Theme Park or catch events at Mt Smart Stadium. The Hotel Novotel Auckland Airport, has 263 rooms and suites are outfitted with satellite/cable TV, mini bar, direct- dial telephone, safe deposit box, private bathroom with hairdryer and Wi-Fi access (fees apply). Suites come with separate lounge. Located 21 kms from Auckland City and 10 to 15 minute walk from the domestic and international terminals at Auckland Airport, Ibis Budget Auckland Airport features modern rooms with a flat-screen TV. It provides an airport shuttle service, a 24-hour front desk and an internet kiosk.Ibis Budget Auckland Airport is a 30-minute drive from central Auckland. Free parking is available for 1 night. The bright rooms feature a queen bed and an overhead single bunk bed. All rooms have a private bathroom with shower. Guests have access to vending machines for snacks and drinks. Breakfast is served each morning, and there are a number of restaurants, cafes and supermarkets next to the hotel. Located 21 kms from Auckland City, close to Auckland International Airport, (formally the Quality Hotel Auckland Airport), the Hotel Grand Chancellor Auckland Airport is a Superior hotel with 191 air conditioned centrally heated ensuite (Shower/Bath) rooms with TV/Radio, phone, Fridge, Mini Bar, Tea/coffee making facility, in room movies, Sky TV, 24 Hour Reception/Room service, Licenced Restaurant, Cocktail Bar, Business service, conference facility for 10-200 people, fitness centre, swimming pool, sauna, Guest Laundry/Valet service, parking and airport transfers. Child under 12yrs sharing with an adult free. Check in 12 Noon/Check Out 10.00am. First Class hotel. 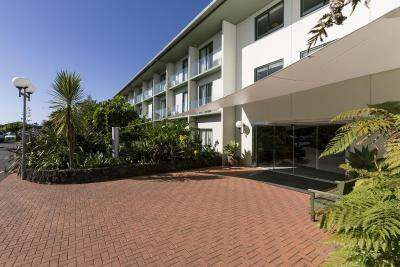 Located 21 kms from the city centre, 4 kms to airport, the Holiday Inn Auckland Airport (Formally Centra Auckland Airport) has 243 centrally heated, air conditioned private facility rooms with TV/Radio, phone, Fridge, Minibar, Tea/coffee making facility, 24hr Reception, 2 Restaurants, Cocktail Bar, Fitness Centre, Business Centre, Travel Desk, Conference facility, Guest Laundry facility, parking and airport transfer services. 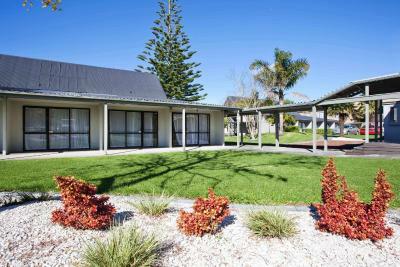 You won't find more convenient or comfortable Auckland airport accommodation other than the Best Western BK's Pioneer Motor Lodge Auckland where you will enjoy quality accommodation and the courtesy airport shuttle service for both International and Domestic terminals. 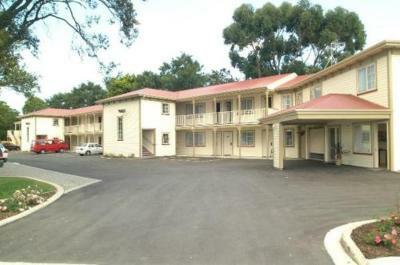 Conveniently located near the airport the Best Western BK's Pioneer Motor Lodge is only a 3-minute drive from the Auckland International Airport. This property offers room that are well appointed with modern amenities where you will enjoy a comfortable airport stay in your fully equipped, executive quality room. A small friendly lodge run by husband and wife team Brian and Gwen. 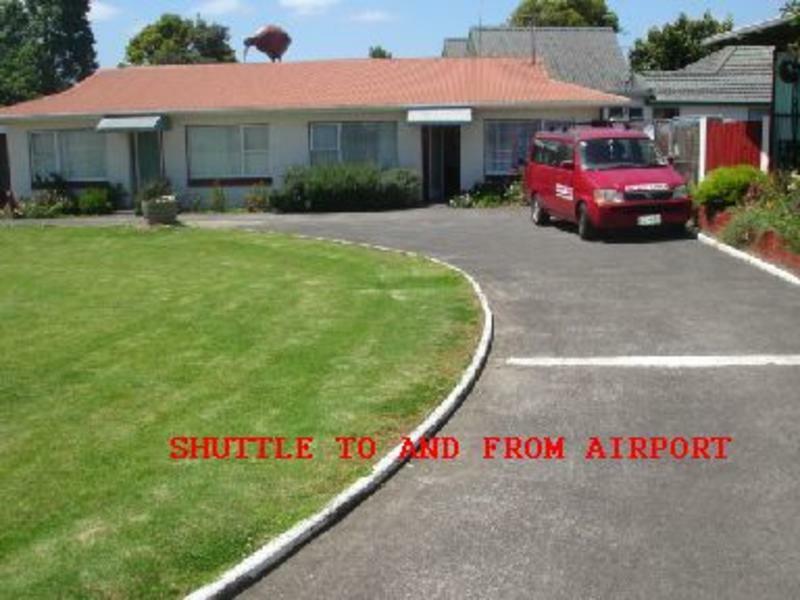 Only a 5 minute drive from Auckland Airport with courtesy transport to or from the airport (By arrangement). 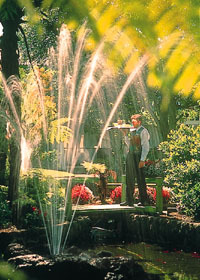 Relax and unwind before or after your flight in quiet peaceful surroundings. If you are looking for a lively party atmosphere this is not for you!. Room Type: Dorms and Rooms.